Kant and Milton brings to bear new evidence and long-neglected materials to show the importance of Kant’s encounter with Milton’s poetry to the formation of Kant’s moral and aesthetic thought. Sanford Budick reveals the relation between a poetic vision and a philosophy that theorized what that poetry was doing. As Plato and Aristotle contemplate Homer, so Kant contemplates Milton. In all these cases philosophy and poetry allow us to better understand each other. Milton gave voice to the transformation of human understanding effected by the Protestant Revolt, making poetry of the idea that human reason is created self-sufficient. Kant turned that religiously inflected poetry into the richest modern philosophy. 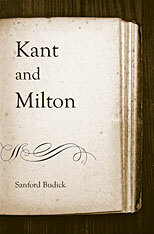 Milton’s bold self-reliance is Kant’s as well. 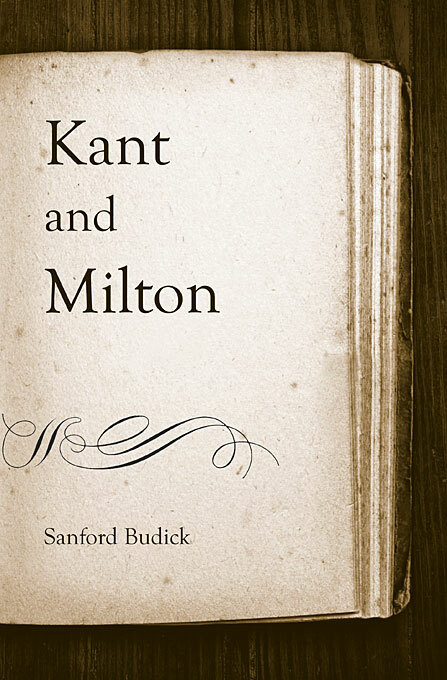 Using lectures of Kant that have been published only in the past decade, Budick develops an account of Kant based on his lifelong absorption in the poetry of Milton, especially Paradise Lost. By bringing to bear the immense power of his reflections on aesthetic and moral form, Kant produced one of the most penetrating interpretations of Milton’s achievement that has ever been offered and, at the same time, reached new peaks in the development of aesthetics and moral reason.